Palliative surgery involves carrying out procedures to reduce the amount of pain a patient is suffering from and/or to improve their quality of life. Cancer sufferers can experience tremendous pain and though the pain can be managed with the use of drugs up to a point, in certain instances surgery might be performed whereby no curative treatment is carried out but the procedure will alleviate a lot of their pain. In other words, in any palliative procedure, the aim is to reduce the severity of the symptoms of the disease as opposed to finding a cure. Where cancer is concerned, palliative surgery will obviously incorporate treating pain where no other method of pain control is available but it can also be used in other ways, such as with certain cancers which grow around the abdomen area which may become enlarged to the point where they obstruct or block off the intestine. In this instance, palliative surgery might be carried out to remove the blockage. Palliative treatments, as opposed to surgery, can also be used to alleviate some of the symptoms surrounding other curative procedures such as offering help to alleviate the nausea often associated with chemotherapy. It’s also important to remember that palliative surgery doesn’t have to be related to cancer treatment. Other palliative procedures are also sometimes used where there are progressive neurological conditions, in heart failure, renal disease and other progressive pulmonary disorders. Some people automatically assume that palliative care simply means the care which is given to a patient to relieve painful symptoms and to make them more comfortable as they approach death when there is no cure for their particular disease. This is not strictly true, although a good example where that does hold true is when a patient is nearing the end of their life and they go to live out their final days in a hospice, where specially trained medical and nursing staff are very proficient in providing palliative care. 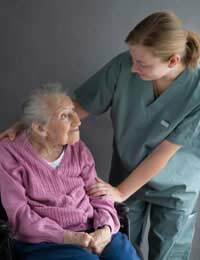 However, in some cases, palliative surgery, though not curing a particular disease, can sometimes help to prolong a person’s life or at least serve to enable them to have a better quality of life for the time that remains in their life to enable them to live in as active a way as possible. One of the important aspects of any form of palliative treatment is the need to work closely with both the patient themselves (if that’s still possible) and with their family. You’ll see best practice of that being carried out all day and every day at hospices up and down the country where as much care, consideration and attention is given to offering guidance and support to the close family and friends of the loved one who has the incurable disease. Much of a hospice’s work is about providing psychological, spiritual and social support to both the patient who is facing an incurable disease and their loved ones. These days too, when it comes to palliative care, medical professionals need to be ethically and morally aware as to their duty of care and marrying that with the wishes of the patient and maybe their family too, whilst making sure they keep to the law and the accepted code of conduct within the medical profession.